The Humane Rescue Alliance (HRA) has protected and served the animals of the DC community for more than 145 years and serves thousands of animals annually. The broad range of programs offered includes rescue and adoption, humane law enforcement, low-cost veterinary services, animal care and control, behavior and training, spay-neuter services, humane education, and many others. The organization is dedicated to ensuring the safety and welfare of all animals, bringing people and animals together, and working with all communities to support these relationships. HRA is based in Washington, DC, the only major urban area in the country that has all of its animal protection programs and services unified in one organization, making the Humane Rescue Alliance a model for the nation. 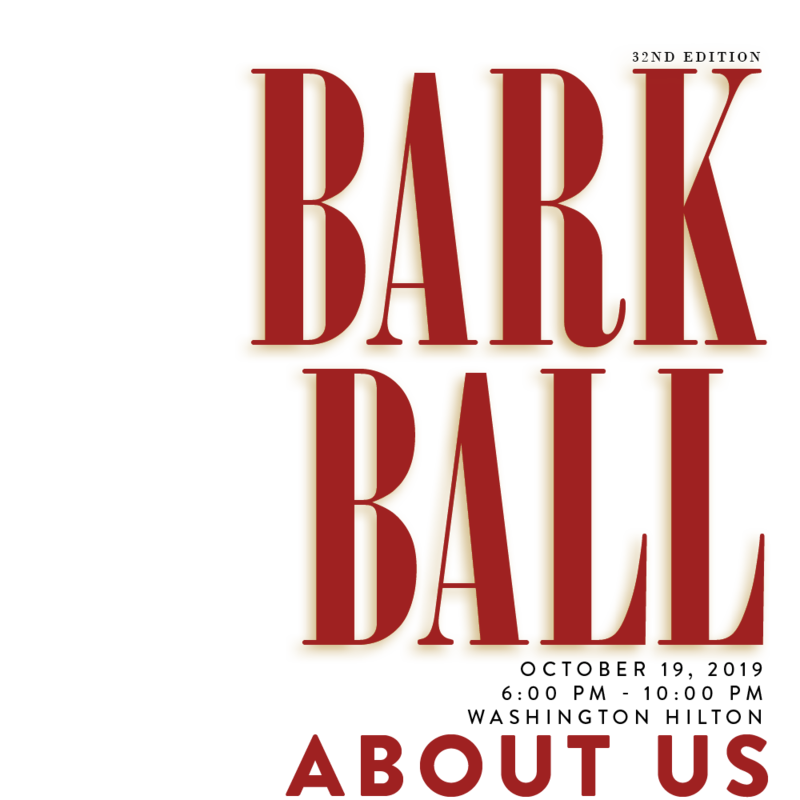 The Bark Ball is a one of a kind, exciting, and special evening; a great way to thank employees or entertain business partners in an elegant setting all to benefit a great cause. 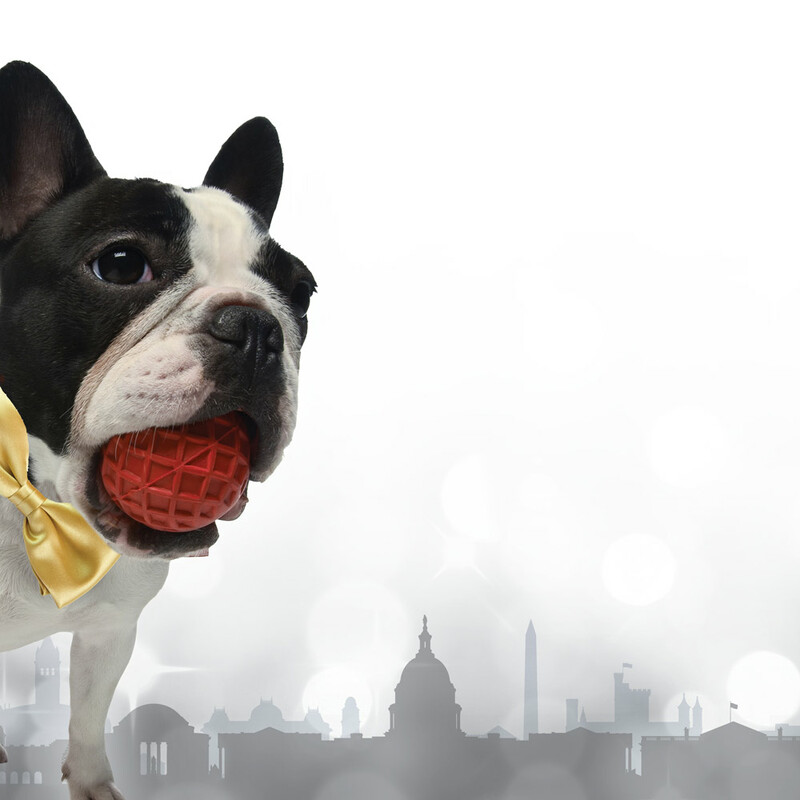 Most importantly, nowhere else can your guests bring their canine companions as their date to a seated gala! The Bark Ball also presents a great opportunity to associate your organization with a compelling, bi-partisan community organization whose work not only helps animals, but also provides support to communities and families through pet wellness programs and offers guidance and assistance to those needing help with everything from wounded wildlife to animal cruelty. Become a vendor or sponsor. More information here! Purchase tickets or tables! On sale now! Thank you to our 2018 top sponsors! If you are unable to attend the 32nd Annual Bark Ball please consider making a donation in support of the Humane Rescue Alliance.